With International Women’s Day around the corner, I decided to explore why women authors used male pseudonyms. This was prevalent in the 18th and 19th centuries, where many women felt the need to mask their true identities so that they would be taken seriously. From Louisa May Alcott, best known for her literary marvel “Little Women”(which thankfully was published under her real name) to the Bronte Sisters, who knew that the literary world was strongly prejudiced against female writers, many found freedom of expression cloaked in a man’s identity. One would have thought that the world is less prejudiced today, yet when J.K.Rowling, the creator of Harry Potter, turned out to be Joanna Rowling, many wondered why the much acclaimed author of a record breaking epic series, shied away from writing under her real name. Wondering whether her stories would be accepted by her target audience- young boys, she decided to listen to her publishers and use her initials instead. As she had no middle name, she chose K (for “Kathleen”) as the second initial of her pen name, from her paternal grandmother. She further went and wrote her detective thriller The Cuckoo’s Calling, as Robert Galbraith, again for reasons best known to her. Sales soared, when it came out that it was Rowling again, who brought Comoran Strike to life. Digging in deeper to understand how far rooted this trend was, a whole new plethora of literary marvels opened up. Some may have felt intimidated, hence resorted to male names to skirt past discrimination, but there were many who wrote as themselves, even in times when it was literally a man’s world. History is proof that women have always been writers, creators of fine literary treasures. Now, with publicists, agents and the social media the world is a different and it’s much easier to make your name as a writer. But, in centuries past, when women were neither seen nor heard, a few rose and made a niche for themselves on their own terms and in their own names. It is to these women, that my 8th of March,2015 is dedicated. May the pen of a woman always create beauty, wisdom and love. Sappho, of the Isle of Lesbos, shines through the fragments of antiquity, just like her lyrical poems. What remains of her poetry, are fragments which have been pieced together painstakingly to bring out the artistic flair of her exuberant and enchanting style. Melodies from 600 BCE can be heard today and Sappho stands tall even today. Ancient China, with its edifices, porcelain, silks and logograms mesmerises the world even today. In this strongly patriarchal society, women were neither seen nor heard. In a man’s world where Astronomy, Mathematics, Politics, Poetry and Prose determined the stature, Ban Zhao peeked out from behind the shadows and made her mark. As a teacher in the royal court in 100 CE, she gained political influence and prominence. Known as the first female Chinese historian, she is credited with Lessons for Women, an advice manual for women of that period- teaching them the art of being submissive!!!! She became China’s most famous female writer; the Ban Zhao crater on Venus named after her. For Christine de Pizan, writing came naturally and this medieval author wrote poetry and prose to support herself and her three children. She served as a court writer in medieval Franceand her work reflected her astute knowledge of aristocratic custom and fashion Christine’s view on mythology, legend and history gave her a niche over other writers during that period. This Italian French author,is best known for her famous literary works, The Book of the City of Ladies and The Treasure of the City of Ladies. While the first brings to light the past contributions of women to society during the medieval period, the latter works as a guide to women in 14th century on how to imbibe the qualities from the first one. Her practical advice for women in that period was sought after. According to her, “Rhetoric is a powerful tool that women could employ to settle differences and to assert themselves”. Often credited with being the first woman writer to earn a living by her pen, Aphra Behn started writing plays for the London Theatre to support herself. Having spied for the British crown and being imprisoned for debts once she returned to London, she saw writing plays, poems and then novels, as a safer way to sustain herself in 17th Century Britain. Her story, The Royal Slave written in 1688 narrates the tale of an African prince forced into slavery in Surinam. With more than fifteen plays to her credit, Behn along with Eliza Haywood and Delarivier Manley is regarded as one of the most influential writers of 17th and 18th century. This “Fair Triumvirate of Wit” died a pauper despite her success as a writer in her lifetime. Had Sylvia Plath been alive today, she would have definitely felt more at home now than in the 1960s. The world today, belongs to the writers. Everyone writes because everything in life is writable!!! While some achieve the ultimate dream of getting published and accoladed for their work, there are countless others who are also living their dream by writing journals, blogs and soulful posts on various social networking sites. Close to 90,000 books get published every year in India, the United States sees around 300,000 books being churned out yearly. Even though books constitute a sizeable percentage of writing, thanks to technological progression and the increase in virtual platforms, written expression is multiplying at a phenomenal rate. Twitter is flooded with an average of 140 million tweets a day and Facebook as of March 2015, has over 1.44 billion monthly active users. Blogging services like Tumblr, Medium, Blogger, Technorati and WordPress see an increase in number of users everyday. Colombo hosted a very unique lit fest, “Annasi & Kadalagotu Lit Fest” this April. Annasi is the Sinhala term for pineapple and Kadalagotu is the humble chickpea. The aim of this festival was to reach out and make literature accessible to the common man. One of the sessions I attended was on Blogging. The guest bloggers were passionate bloggers in Sinhala and English and the session was quite electrifying, with discussions on the criticism bloggers face, the lack of recognition, legitimacy of blogs and blog plagiarism. The session was enough to make me wonder on the importance of writing on virtual platforms and whether blogs qualified as ‘LITERATURE’. How gratifying is the virtual world???? The more I googled, the more involved I became. Preeti Singh, my partner in The Good Book Corner is an avid blogger and a published author . Her blog ‘preetiwhines’ gives a peek into what’s happening in her life and many can relate to what she writes. Blogging, for Preeti, was a way to develop her voice and refine her writing. As to the future of blogs, Preeti says,“I think with more people wanting to write, blogs can only become bigger. Not in this fashion though. Now newspapers and online portals also assign blogs to people – HuffPost does that – you have the freedom to write your blog, it gets edited and cleaned up and posted on their site. The other place that is becoming popular is Medium – a blog community by the same people who started blogger….in the future such collaborations will become big, and might compete with online news”. When I asked her whether blogs qualified as literature, she clarified, “technically no…though of course when you hit the button, you are ‘published’! Yet, loads of blogs have been converted into books, or have developed stories that became novels, food and travel memoirs”. Preeti’s book ‘Unravel’ was released in 2014 and when asked as to what was more satisfying……. “Blogging satisfies my need to vent and have something out there….and publishing is a longer deal”. Arpita Bhawal has also blogged passionately and is the author of ‘Vices of Eden’. She was a guest columnist with an afternoon daily in Hyderabad and started blogging because she wanted her articles to be available online even after the newspaper was trashed. According to Arpita, “I wouldn’t say that blogs qualify as literature, because “literature” in my view is a more structured, lengthy and fictional form of writing, with a story that gives the entire picture. Literature as we have learned is not just a musing or a brief opinion; it is a detailed, conclusive and definitive point of view of the writer on the subject (fiction or otherwise). Blogs qualify not as literature unless they are strung together to give them a theme, name, purpose and story. Literature is storytelling while blogs are incident – instance telling”. As to what is more satisfying- blogging or getting published, Arpita feels, “Blogging is like popping the cherry on the cake in your mouth for a quick taste of what the cake would be like. It is instant gratification. But publishing a book is like creating a child or giving birth to an invention that can impact or even change the world. I find publishing a book is far more satisfying only because the journey of the writer during the creation of that book is as enriching as the experience the reader gets from reading something totally new or relevant or fantastic. Imagination gets its full glory in a book unlike blogging”. Bob McKerrow ‘Wayfarer’, another well known blogger, feels that any story, poem, article or photographic essay written or spoken, is literature, though quality, is another thing!!! He is a humanitarian, mountaineer, polar traveler, writer and poet and work for the Red Cross. “I am a good story teller. In 2007 my communication guy in Indonesia said “ Why don’t you tell your stories to a wider audience and he helped me set up a blog. Blogging and blogs are changing and will continue to change. I don’t see Web Logs as such, but more as a repository where I can put my travels, writings, lessons that other people can access quickly through google or other search engines. I have done and seen things few others have, so I feel it a civic duty to share as in many cases, through my blogs, people find a relative, a friend, a place or something that has a huge impact on their lives”, says Bob, when asked about the future of blogging. Like Preeti and Arpita, Bob too feels that publishing a book is more satisfying. “Nothing beats the feel of a book. Holding it, smelling it, caressing it and looking at the quality of the paper, the print, the maps, photos. And then, reading the content. Then putting it in your library and taking it out from time to time to read. Blogging can never compare to that”, he iterates. Literature, generally defined as any form of writing( though in times long gone by, oral forms were included), enjoys the status of being grand. When judged as an influencing piece of grandiose writing, most books find their way into this elite category. The commonality being, that these pieces of writing stay for generations, much after the author is no more. They influence and inspire and become talking points amongst literati, centuries later. While blogs don’t enjoy permanence, many blog writers are working on making their blogs more long lasting. In an attempt to be attain posterity, blogs are being edited, sequenced and given semblance before being published. Many of the upcoming writers today, started by writing their own little journals and feeding their precious blogs. They influence, inspire and strike a chord with their readers, just like books. I am not really a blogger and I am yet to publish my books, but I write! I have written since the day I discovered the alphabet. From scribbling my name on coloured pieces of paper to writing down teenage poetry as a way of venting out, writing has always been a part of my life. 2007 was the year I discovered Facebook and there was no looking back. I have always been expressive, and with Facebook my expressions found words and I could share them with the people who mattered. My posts told my stories and there was no inhibition as the people who were on my friends list were those who knew me well – that I have always been an open book. Writing on this virtual platform gave me the confidence to reach out to a wider audience and it was in 2012 that my first article got published online. The world wide web has been my space and I am also working on getting two of my manuscripts published. While the future is unclear and blogs are not always seen as anything short of the bloggers’ rantings, for now let us give them the importance they deserve. It is after all the ‘Art of Writing’ that is clearly the winner. So, write on!!! Born and brought up in Amritsar, every time I think of the city I think of the warm bonds and cold lassis, hot Amritsari kulchas and sweet hospitality. 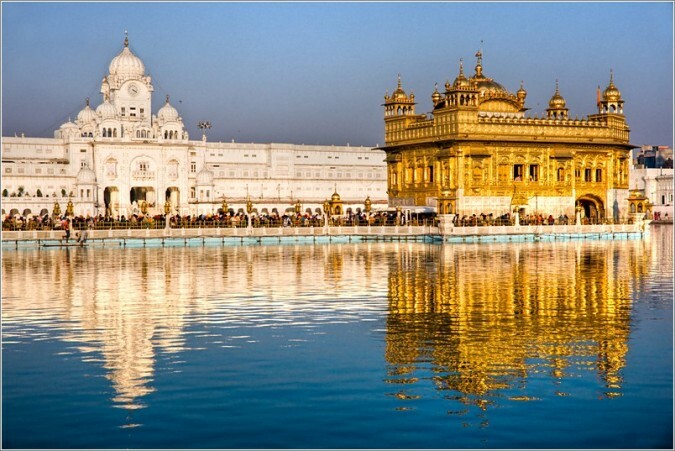 A city founded by Guru Ram Das and put on the world map for being the most important city for Sikhs world over, it has history pouring out of every corner. Blessed was this city and it’s people. Much has changed over the years- a little for the better and a lot more for the worse. A city that could have been the pride of Punjab and India, lies neglected. Where on one side I can see the pristine Golden Temple and the famous Rambagh Gardens, the other side sadly portrays despair. 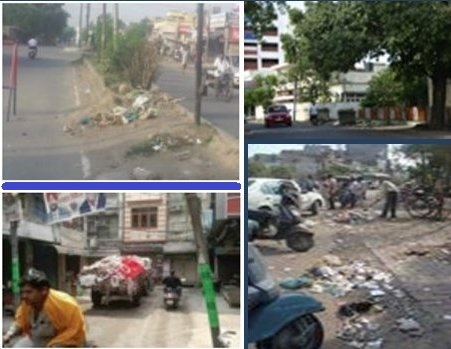 Rubble from incomplete building and road projects, overflowing trash bins and stray animals all over. What stood out in Amritsar during my last visit in July, 2013 was the commitment of it’s citizens. “This group is created as an aftermath of ANNA HAZAARE anticorruption movement.The aim is to continue public awareness in all fields with special emphasis on development in the city of AMRITSAR. On 8th of April 2011 at 8 PM history was created in Company Bagh when over 300 people assembled impromptu to support the cause of anti corruption movement.All like minded people are welcome to join so that the VOA becomes a flagship against CORRUPTION , BAD ADMINISTRATION ,BAD GOVERNANCE and above all POOR PEOPLE COMPLIANCE to all initiatives of NGO`s or Administration. Lets cheer up this 3rd media which is not corruptible , in which everybody is an administrator,journalist and editor. LONG LIVE THE SPIRIT OF CLEAN AND FAIR SOCIETY. VOA has been active ever since, in awareness and cleanliness drives all across the city. It was rather funny to see that street vendors were on their alert, the moment they saw any of the VOA members approaching with the VOA stickers shining brightly on their cars. Eco Amritsar is also another strong voice that that taken up this herculean task of making Amritsar the pride of Punjab.A historic meeting envisaging Eco Amritsar took place in the city in July 2012 bringing together over 200 representatives of religious bodies, city administration officials, environmentalists, youth leaders, educationists and business leaders to commit to make the entire city eco-friendly by year 2017 when city celebrates its 440th anniversary. The task of these two premier organizations is not an easy one, especially when faced with the high level of inefficiencies and corruption at the district and state levels. Amritsar has been neglected and the state of affairs is a sorry one. 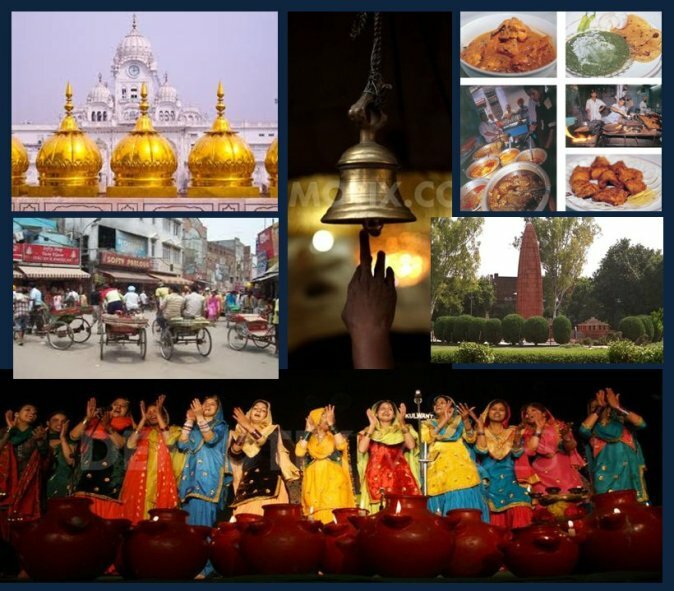 Until and unless each Amritsari does not move beyond the boundaries of their fancy kothis and steps into the streets, the task of regaining Amritsar’s lost glory will remain a dream, lost in the files of the city and state administrators. Wishing VOA and Eco Amritsar all the very best in their endeavors. by Artika Aurora BakshiThe pen is mightier than the sword! This has been advocated through the years by many. I have always wondered how many of us actually believed in it and how many of us have actually taken that path. Two prominent Sikhs who have lead the way by showing that the pen is indeed mightier than the sword and that freedom of speech should be exercised without any fear of repercussions are KHUSHWANT SINGH and TAVLEEN SINGH. Both have been prominent in the Indian and International print media for decades and have set a standard so high that very few have been able to reach it. The Free Thinker’s Prayer Book– written by India’s grand old man. When Khushwant Singh says something or when he writes, we all take notice- we notice it is for sure, whether we agree with it or think of him as someone who has lost his mind…..that is a very personal view and I shall leave it at that. The introduction takes every individual back to the moment, when we have all questioned the religious and ritualistic dogma that are there in our lives. We have all wondered why??? I am a Sikh by birth and by choice and I too follow all the prescribed rituals! I believe in Universal God and take inspiration from the ten teachers of Sikhism. The lives of our Gurus inspire and guide. In an environment which has no gurudwaras or exposure to Sikhism, it is I, who tell my children, the stories of the Gurus and make them comprehend the verses and hymns in our Granth Sahib. But there are times when I have questioned the existence of God, the list of prescribed ways to reach him and the very idea of Karma. I too have wondered that if both I and the person who has wronged me are praying devoutly, who will God listen to? My religion does offer me what I seek in terms of support- a crutch sometimes and guidance, and I for one don’t believe in conversion to another faith to find solace. You either find it or you don’t, as simple as that. But will making me follow the prescribed way, take me to salvation? Here is where, I agree with the author…” ahimsa above all; work as worship; honesty; helping people in need;silent charity and respecting and preserving the natural world- my own religion”. Every page as you turn, gently reminds you to cherish life and enjoy every aspect of it. Every scripture moves and is worthy of admiration. What Khushwant Singh has done is, put down all these little pearls of wisdom in one little prayer book- a book that inspires and reaches out. Written, so that everyone connects to it, especially the Gen next. It is them we need to reach out to, if we want humanity to prosper. I am not talking about religion, because for me HUMANITY IS MY RELIGION. A must have book in every house and definitely a pre-requisite for all godmen, preachers and politicians, who have till now been successful in playing with human emotions on the basis of self professed godliness. Thank you Mr. Singh for your little treasure of prayers and precepts. What strikes out when you pick up a copy of Tavleen Singh’s “Durbar“, is the silhouette of Lutyen’s Delhi- Rashtrapati Bhawan and South Block, courts that have decided the fate of India and its Indians for more than a century! The Delhi whose foundations were laid by a group of Sikh Contractors, who Lutyens commissioned to build a capital worthy of an Empire that would stand tall amongst others. The same Delhi, which silently watched as more than 3000 Sikhs were massacared in the reigm of the most democratic party India has seen. A pogram which is still a wound that is far from healed, because justice has been knowingly delayed or should I assume denied. The book starts with a very powerful note from the author, a typical firebrand trademark of Singh. Throughout the book, you get to read little personal accounts seeped in what is a typical Delhi Society nuances. The parties, the politics and the big hearted punjabi way of life! Singh started her career in the same year that I was born. The red tapism that existed that time can still be found in our country, where babus rule and paper pushing still is a common practice. It’s the connections and pulls that work. Coming back to the book, every page as you turn tells you a story that is so captivating that you cannot put it down. Facts can be cross checked. Covered in this book are the events that have shaped the India we see today. Named openly in the book are all the game players. Singh’s account is a bit biased, but then we all take that from a memoir. Given the position she was in and still is in, it is a good history lesson for the younger generation. Timing is apt too with the elections coming up soon. Whichever party has led India since Independence, the state and condition has remained unchanged. From the power brokers at the centre to the regional parties, everyone has milked India and the citizens for personal gains. Religion, caste and ethnicity has been used by our so called leaders to keep the KURSI ( chair). Reference to this book has come up again in today’s scenario. On 30th April, 2013, one of the main instigators of the 1984 pogrom, Sajjan Kumar was acquitted by the Delhi High Court in one of the three registered cases. Durbar openly spoke about 1984- the reasons why it escalated and the inability or the unwillingness of the Congress to do anything to stop the carnage. Coming back to the book, it may be biased and a bit exaggerated, but it is a real eye-opener. From the Congress to the Janata Government to the NDA and UPA, who do we as Indians turn to, if all they care about it is one upmanship and hidden personal agendas. Was It A Riot, Or Was It A Pogrom? Shashi Tharoor – a man of many words. Many meaningful words, that hit a chord every time they are expressed. Having heard him speak during his time at the UN and on his entering mainstream Indian politics, he has impressed me. Here was a man who actually said it the way it was. His 2001 novel, “The Riot” struck a chord with me. It deals with the Hindu-Muslim riots in India as an aftermath of the criminal demolition of the historic Babri Mosque by right-wing Hindu mobs, setting it against a background of Indian markets opening to big multi-national corporations like Coke, Walmart, etc. He takes you through the events with a series of interviews, as well as notes from journals kept by the protagonists – Priscilla Hart and V. Lakshman: an American NGO worker in love with the subcontinent and all it’s drawbacks, and an Indian bureaucrat, who works within the system but with suppressed romanticism lying somewhere deep within him. Through this well-narrated tale, what particularly struck me was the character, Gurinder Singh, Superintendent of Police. An upright Indian Police Service (“IPS”) officer and a St.Stephen’s College product, who curses, swears, jokes and enjoys his drinks strong, and easily comes forth as a hero. The bureaucrat holds his advice to heart and values his sincere friendship. Gurinder delves into the aftermath of the 1984 pgroms that left a mark on the heart of each and every Sikh and, I suspect, on any Indian who has fully understood the idea of, and dreamed of a secular and harmonious India. For me, the 1984 pogroms are a faint memory, but Gurinder’s words left my heart cringing. We are given a quick overview of the birth of the militancy in Punjab in response to the state’s human rights abuses against the Sikhs, to the unnecessary sacrilege of the Darbar Sahib by Indira Gandhi’s troops, to the day she paid for her sins at the hands of her own security guards. What followed was a massacre of innocent Sikhs across the lregth and breadth of the country, a blot on everything India claimed to be in its own well-cultivated public persona. Through Gurinder Singh’s experience, Shashi Tharoor attempts to highlight the high value Sikhs give to serving humanity. During the pogroms, when Gurinder Singh’s 10 year old nephew and brother-in-law are massacred by a marauding mob, he considers resigning from his job as a senior police bureaucrat. But he doesn’t. His grieving old father stops him, saying that by staying within the law enforcing agency, he could work towards preventing such crimes from happening again. Thus ensues a bit of a dialogue on the duty of a Sikh to contnue to work for ‘sarbat da bhalla’, even when confronted by the worst in human nature. However, the novel merely touches on the 1984 anti-Sikh massacres. Unfortunately Tharoor – an educated, intelligent and well-informed man that he is, working in the thick of the very political party which authored the pogroms – fails to distinguish the term “riot” which correctly applies to some of the aftermath of the Babri Mosque demolition, from what happened against the Sikhs in 1984: a pogrom and nothing even remotely akin to a ‘riot’. It is odd that the author would bring up the 1984 crimes in a book titled “Riot”, and not highlight this distinction. It was a golden opportunity – unfortunately squandered – to correct his fellow countrymen from the ongoing and intentional mischief of the repeated use of the misnomer vis-a-vis 1984.The motivation, obviously, is to dilute and minimize the enormity of the crimes. But the net effect is that the whole country confirms its boorishness in its relationship with its most patriotic segment of society. The government, the country’s public intellectuals, the media, and therefore the people, have continued the fraud ad nauseum. But the fact that Shashi Tharoor has failed to distance himself from the practice is in itself troublsome. Maybe, just maybe, he’ll write a book soon under the title, “Pogrom”, and redeem himself. “The First” and from the heart!!! As per history and janamsakhis, Guru Nanak came to Sri Lanka during his Second Udaasi (journey). The route taken was from Puri to Gantur to Kanchipuran to Tiruvannamalai to Tiruchchirupalli, and sailing all the way from there to Batticoloa. My search for the ”charan padak”- the place where he set foot – took me to The Archaeological Survey of Sri Lanka. There are no records of a place called Dibar, some seven odd miles from Batticoloa, where the Guru set foot for the first time in this island nation. Conflicting reports off the internet pointed me towards Trincomalee, and I set off to search the land there. The east coast of Sri Lanka – the famed Shaivite kingdom where the Guru was welcomed by the Hindu ruler – welcomed me with a smile. Torn by the recent civil war, this region shows marks of a painful and bloody era, that is now the latest addition to the history books. 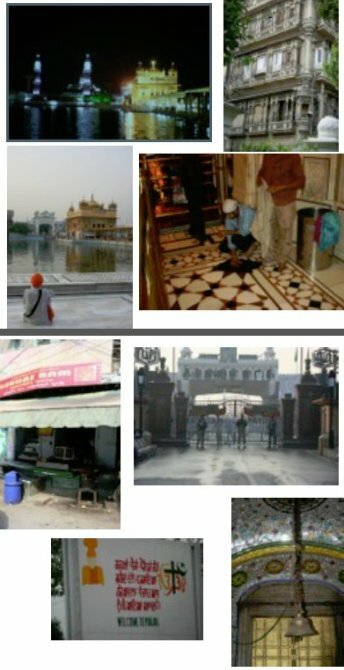 It tears my heart to see that this holy place, which supposedly marks the first step of Guru Nanak, the Prince of Peace, in the land of the Buddha – the preacher of ahimsa – bears so many marks of suffering, torture and destruction. With no leads on the temple linking to the Udaasi Mutth, which is supposed to have the Mool Mantar written in the Sinhala script, I reach a dead end. In various conversations with people from the area. I reluctantly come to the conclusion that tsunamis in the past and coastal erosion could have been responsible for erasing all links. Some even point towards the strict religious sentiments of the Sinhala Kings or the destruction caused by the Portuguese invaders. What stand there today are two ancient temples dedicated to the deity, Shiva – the “Destroyer” of Hindu mythology. Constant badgering of the personnel at the Archaeological Survey offices is also not helpful as no one knows of any stone inscription bearing the name “Nanakacharya” which was said to be at the Anuradhapura Museum. The search takes me to Anuradhapura, one of the glorious ancient capitals of Sri Lanka. I pass towns and villages with their Christian churches, Hindu kovils, Buddhist viharas and Muslim mosques. I remember the Guru’s teachings of a universal God. All living here in harmony and praying to this one God in their own ways. I draw a blank at Anuradhapura too and feel a bit disheartened. My restless mind looking for footprints from the Guru’s journey across the ocean, and then it dawns on me that it is not in the temples of stone or ancient scriptures that I can find him, I can find him within me and within the hearts of so many Sindhi settlers from Pakistan, who migrated to Sri Lanka during the Partition of 1947- with images of Guru Nanak, and the presence of Guru Granth Sahib and the teachings in them. Here, they were blessed by the Guru and started a life afresh with all the dedication and humility that symbolizes Guru Nanak. Every Year, on Guru Nanak’s birth anniversary, a beautiful darbar is held at the Sindhi Community Centre on Galle Road in Colombo. Kirtan by the sangat is followed by parshad in His memory, and then, langar. The author was born and brought up in Amritsar, Punjab. Married to Maninder Singh Bakshi and a mother of 2 boys, she has been living in Sri Lanka since 2000. An MBA in International Banking and Finance, she is currently teaching in an International School in Sri Lanka.